Richard has completed commissions for numerous public and civic works. 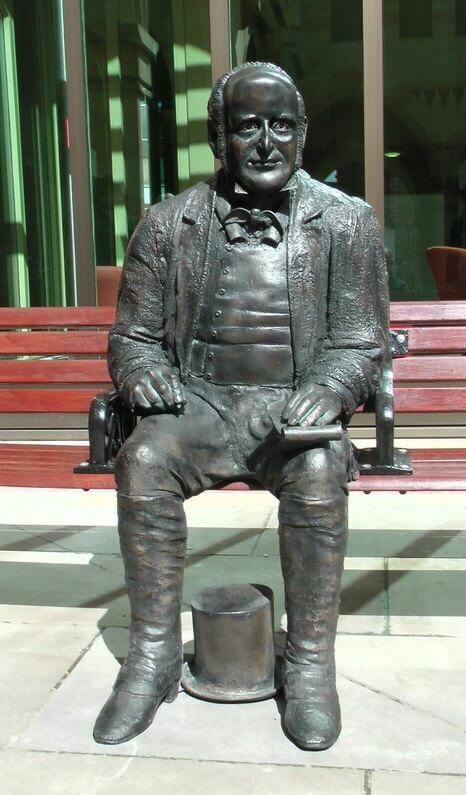 ‘Robert Burns’. 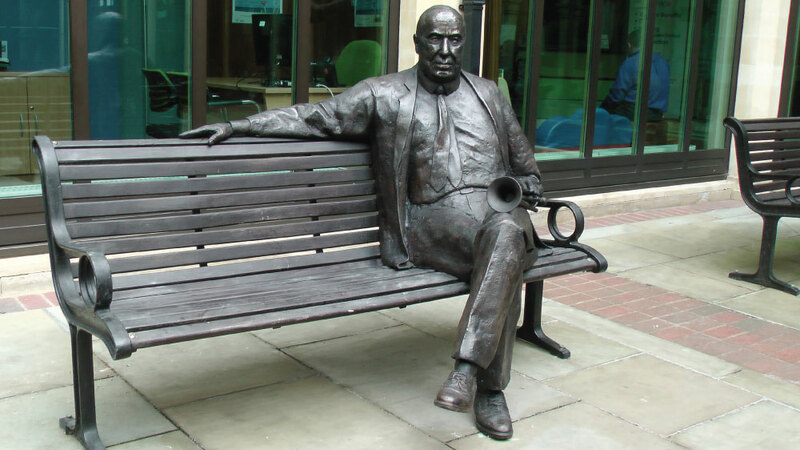 Life size bronze resin composite, commissioned by Scottish National Trust. 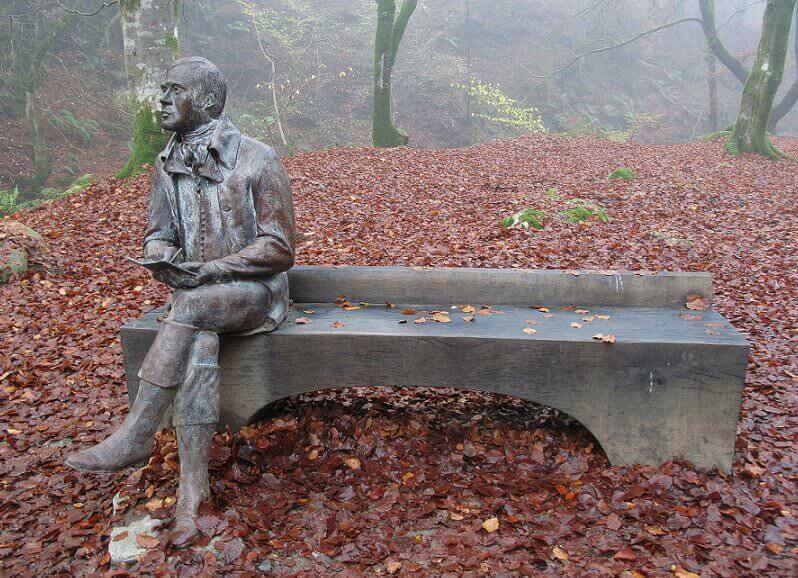 Situated in the Birks of Aberfeldy. 2012. 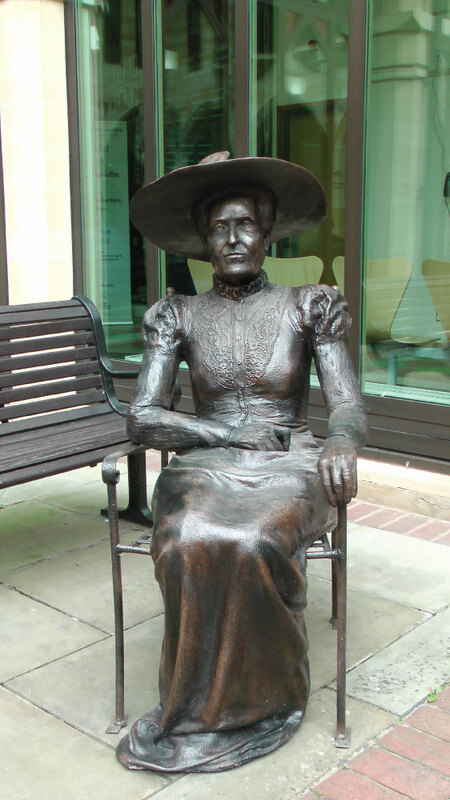 Noted philanthropist, Lady Wantage was instrumental in setting up the National Aid Society – the forerunner of the British Red Cross Society. In the 1890s Lady Wantage gave the land for Abington Park to Northampton. 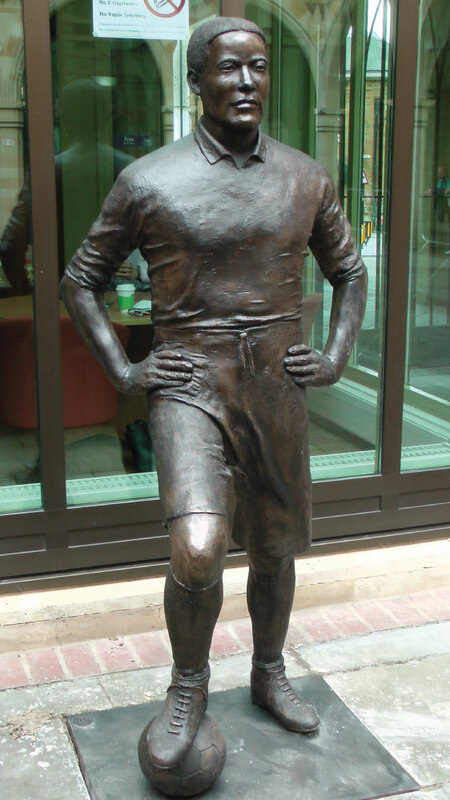 Walter Tull joined Northampton Town Football Club in 1911 before becoming the first black officer to lead white British soldiers in battle during WWI. 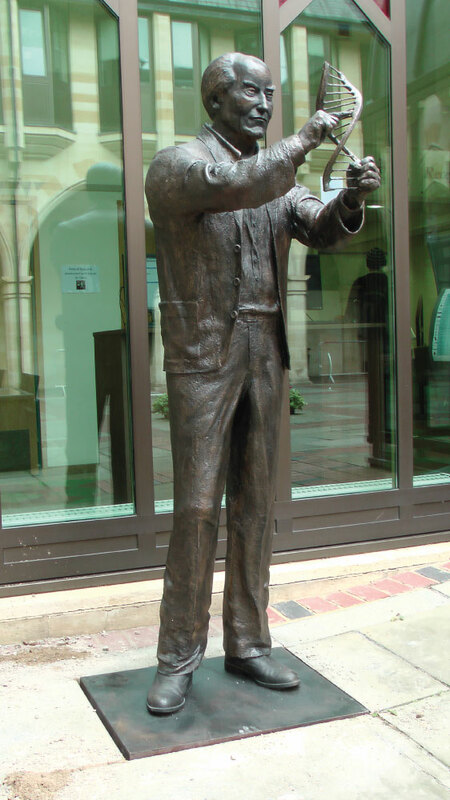 Nobel Prize winner, Francis Crick was educated at the Northampton Town and County Grammar School and went on to co-discover the DNA molecule. 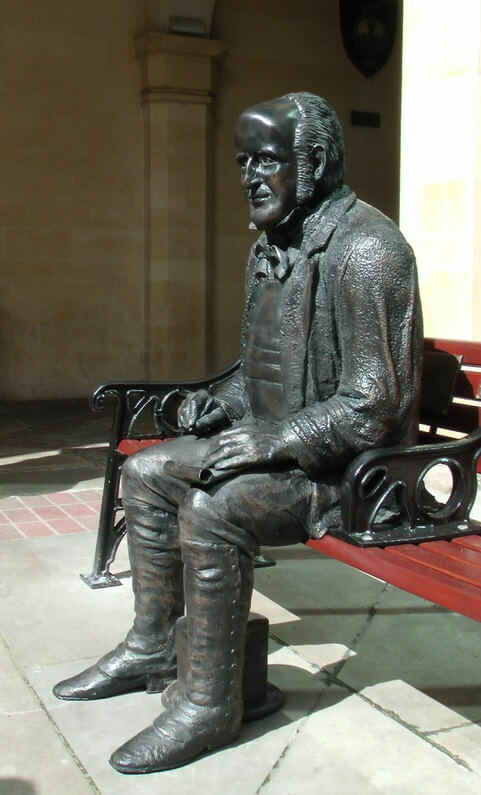 ‘Poet’ John Clare, life size bronze commissioned by Northamptonshire Borough Council in 2016. 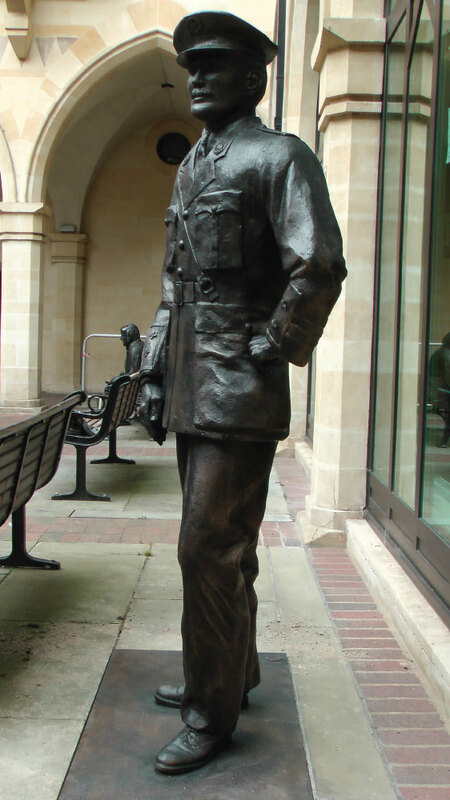 Located at the Guildhall. 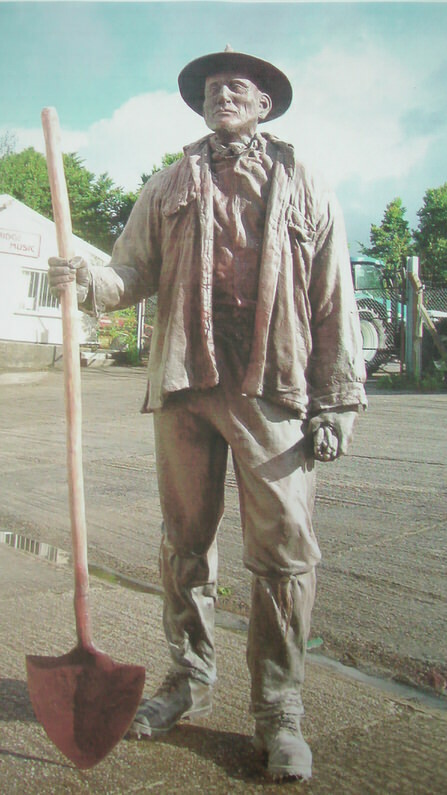 This life sized miner was commissioned for The Museum of Dartmoor Life in Okehampton. 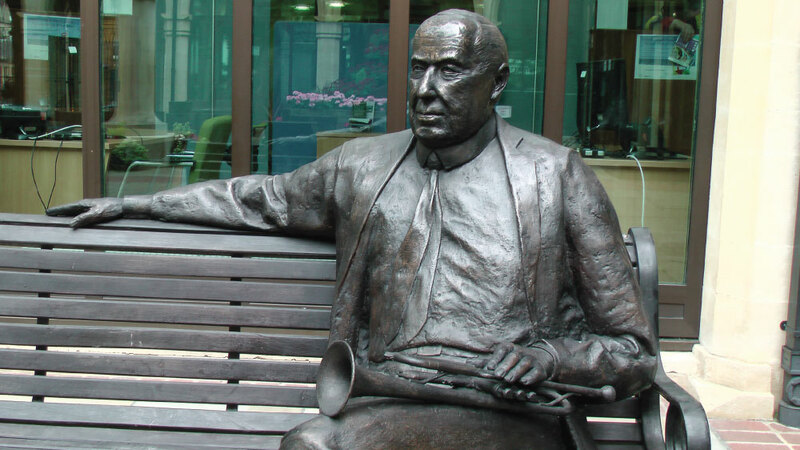 Malcolm Arnold made his name as one of the most sought-after composers in Britain, writing the score for the film “The Bridge over the River Kwai” among others. 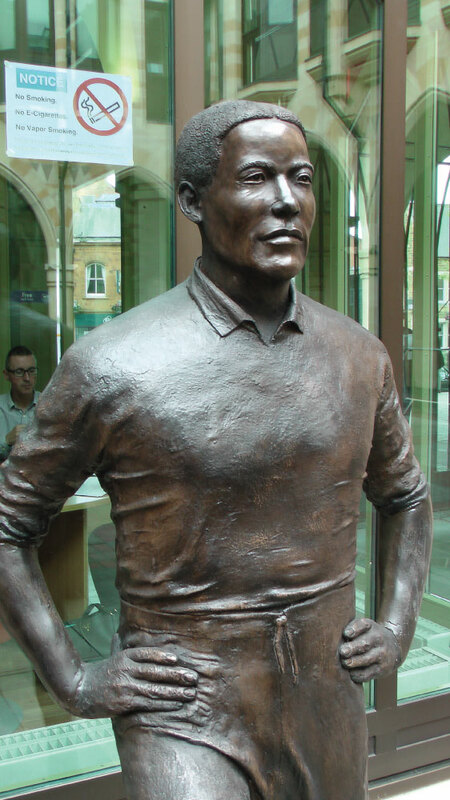 Local hero, Edgar Mobbs raised his own company of sportsmen for the Northamptonshire Regiment after initially being turned down as too old to join the army. He was killed in action in July 1917. 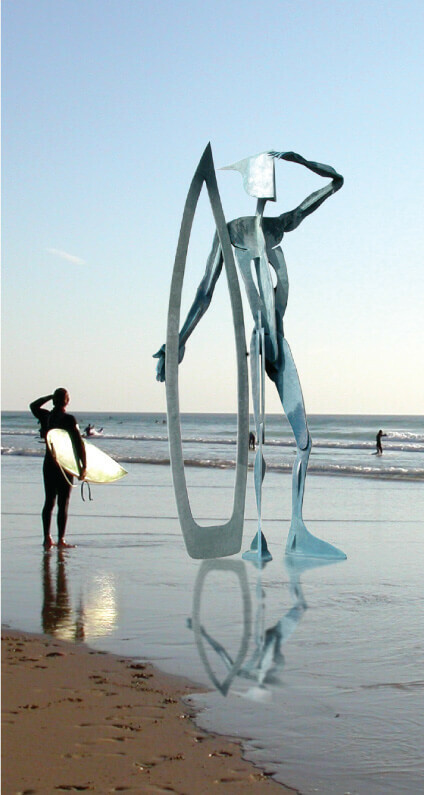 ‘Warrior of the Surf’, 15ft tall, monoblock poly-carbon faced in copper. Originally created for the surf championship, now situated on a beach in Malibu. 2012. For commission enquiries or an informal chat please get in touch.